The Guy: Are you about to do work? The Guy: Nothing. 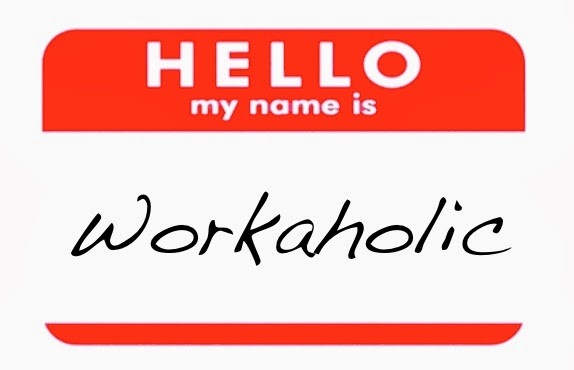 It's just that you're... a workaholic. "And just like that, I can also add 'Adjunct Professor' to my resume." Yes, I got another job. Yes, I already have a full plate. Yes, I'm still taking this one on with excitement. It seems as though I'm always in this constant state of "Go!" and, more often than not, I push myself pretty hard. But that's because I can feel myself getting closer to my dreams. I can smell it in the air, and it's a sweet, sweet aroma. Real talk. There seems to be an epidemic where we need to feel super busy at all times in order to feel like we're getting ish done. But that's not necessarily true. These days, I'm aiming to be more productive and less busy. I'm aiming to be on the grind when it's necessary to scratch things off of my To-Do List. Working smarter -- not necessarily harder -- is what it's really about. I know some things, but I learned a long time ago that I don't know everything and I definitely don't have all the answers. But I have folks in my inner circle who are experts at a lot of different things. And I keep those people close to me so that in time of need, they're a mere phone call, text, or email away. They're my mentors, and I'm eternally grateful that I can learn from them. I used to think that I was wasting time if I spent time doing nothing. But, at some point, I realized that having a Do Nothing Day helps me recharge. And if I'm gonna get down with the doers and the movers and the shakers of this world, I need to recharge. I guess because I strive to have a bit of "balance" (whatever that means) in my life, that I don't feel like a workaholic. I simply feel like I'm working towards my dreams. I have the opportunity to turn my dream into a reality and I'm going to jump on that opportunity. It'd be really tragic if I don't. Good lessons for us ll to learn. My favorite is take time to do "nothing." Taking time to enjoy family or just do nothing is very important. Also, I'm learning to stop doing things for the sake of being busy and doing more things that are productive and will be beneficial in the long haul.